From Harvey Smith, who live in Russia we got these pictures from the Imperial Garages as they look now. Look the beautiful building, with the car ornament, and compare with the old picture. If someone are interested to see the place the address is: Akademicheskiy Prospect, Pushkin, Saint Petersburg. IIt will be interesting to get the history of the first years before Kégresse had to leave the country. 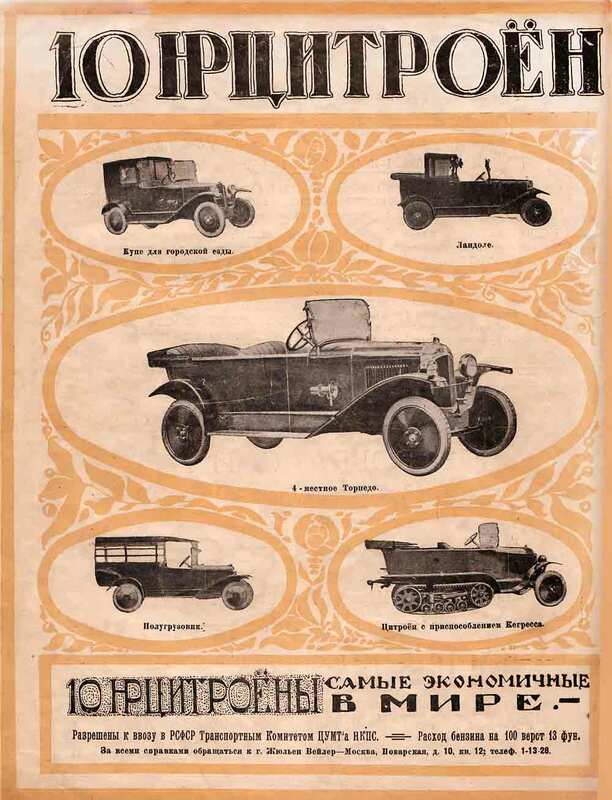 We would like to know more about the imperial garage, the cars of the garage, the Kégresses application on different cars, and finally the escape from Russia! We know that Adolphe Kégresse lived in Russia when he developed his track system, but was his cars ever sold in this country? Denis Orlov from Moscow sent us this fantastic picture. 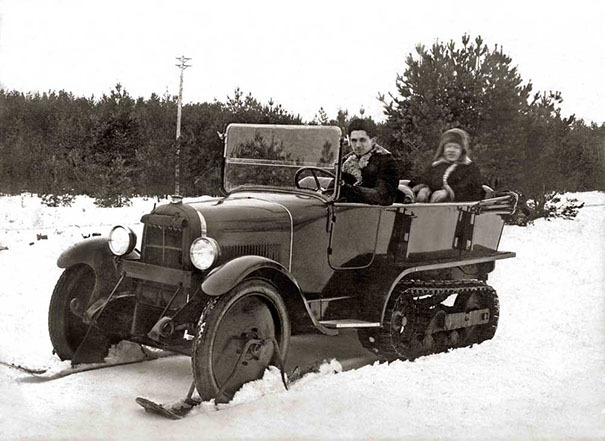 The car is an early P10 (with B14 body), from about 1928-29.
Who knows more...? Share with us! 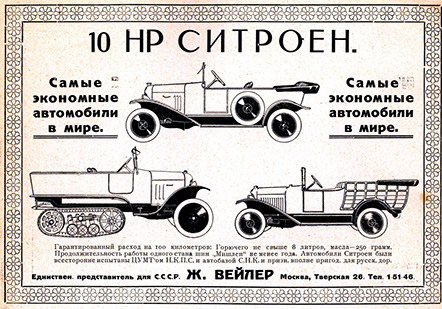 This advert to the right is from around 1928, kindly supplied by Dmitry Dashko from Ukraine. Below an advert found somewhere on the Internet, note the boogies with 3 small wheels.